Since David will be working in Dubai for a while I decided it’s only right if I paid him a visit. He is delivering a project for the Dubai Airport and doing very sophisticated things with many computers that I don’t get. We are staying in a hotel apartment in a part of Dubai called Festival City. There is nothing festive here apart from malls, hotels and a rather nice view looking at the tallest building in the world. Burj Khalifa towering every other building. View from our balcony. I never had a great desire to travel to this part of the world and I probably never would have if David wasn’t working here. I perceived, and still do to an extent, this place as a Mecca (sorry to real Mecca, which is not far from here) for expats, who are all after the riches they can rake together here from tax free salaries. By expats I do not mean the stereotypical western European manager, but the thousands of Filipinos, Pakistanis, Sri Lankans and Indians, who make up the majority of the 2,1 million people living here. They are the backbone of this city and the engine that keeps it running. 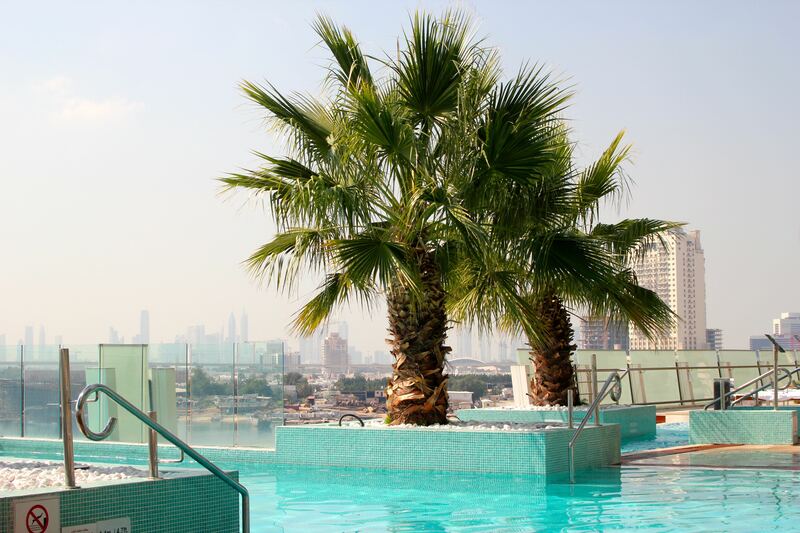 There is a whole different Dubai to be discovered, though. 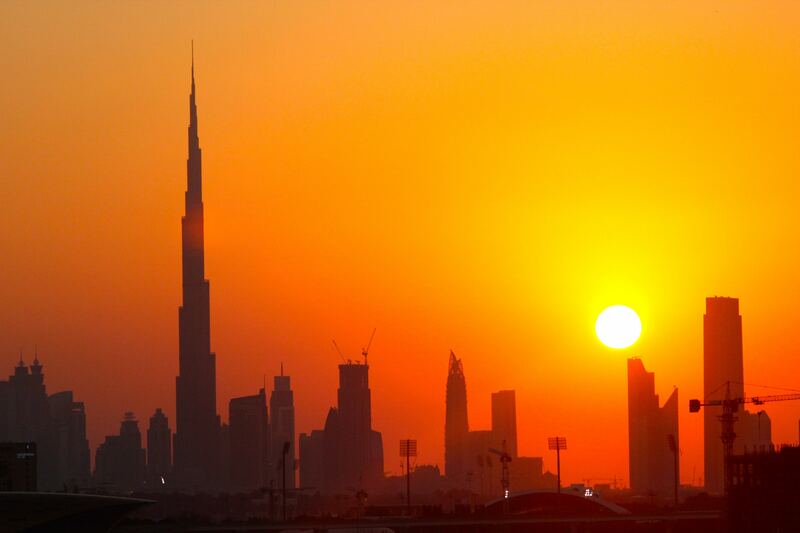 Although the UAE only became an independent country in 1971, the area has a long history. 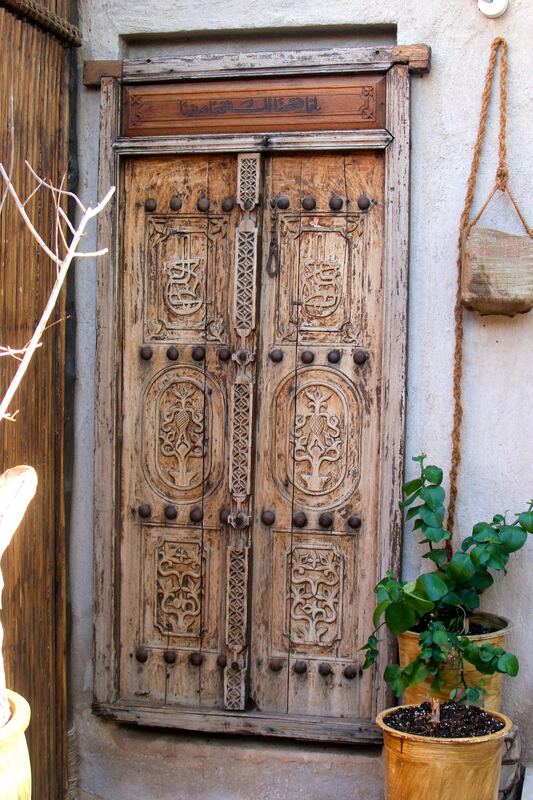 One has to look hard to find it amongst the concrete jungle and the modern miracles, but the Bedouin heritage can still be found. The mixture of cultures from the Indian subcontinent and the Philippines has added an interesting dimension to this desert city. This area was inhabited by Bedouin tribes less than 60 years ago and when driving out of town some Bedouin camps can still be seen. They traditionally made a living by pearl diving or camel raising, but also with trade coming from India and going to Europe. 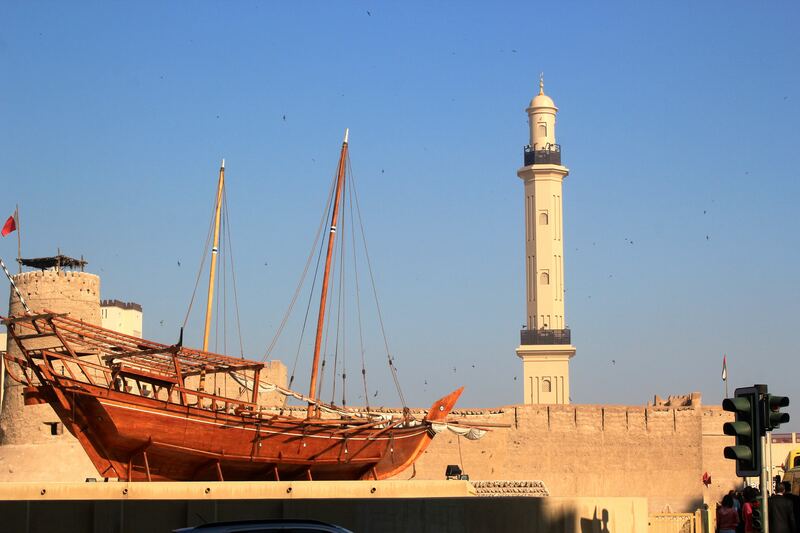 Old Dubai or Bur Dubai starts with the Al Bastakiya quarter – a very small part of town, which was preserved thanks to the persistence of the English, who advised the Sheikh that it would be a good idea not to tear down all the old buildings. 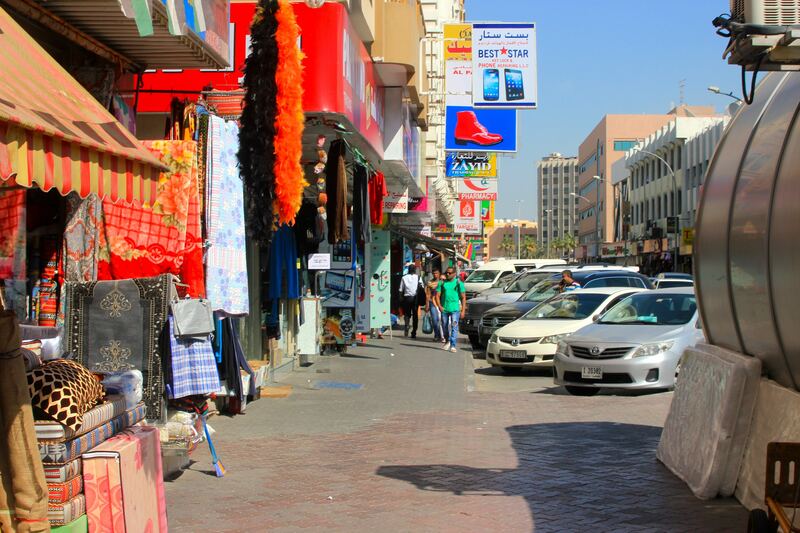 Walking down the narrow Al Bastakiya streets feels as if a different world to the hustle and bustle of Dubai. The district is pedestrianized and the old buildings house various art galleries and workshops. 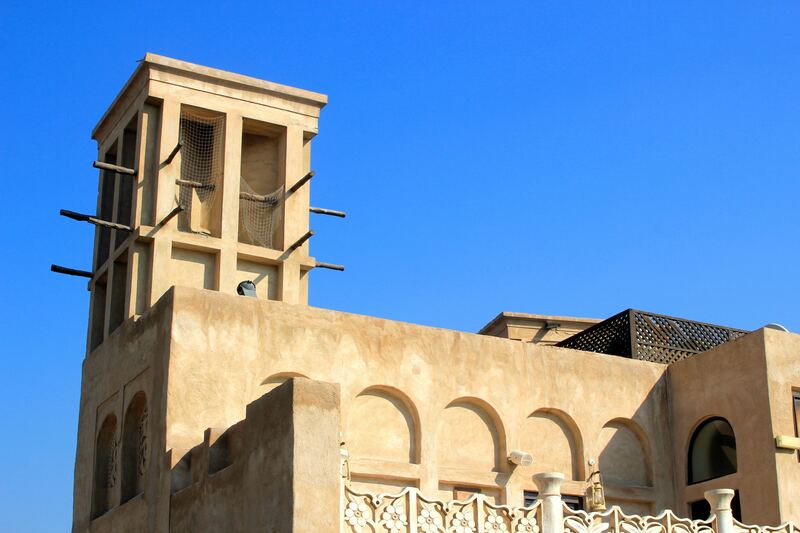 The buildings were constructed in late 19th century and all feature the original air cooling system – the wind tower. I went into one of these buildings and stood right under the wind tower and it does seem to work. On the edge of Al Bastakiya stands the Dubai Museum, which is housed in Al Fahidi fort and tells a bit about the history of Dubai and its people, but it is not something I would highly recommend. 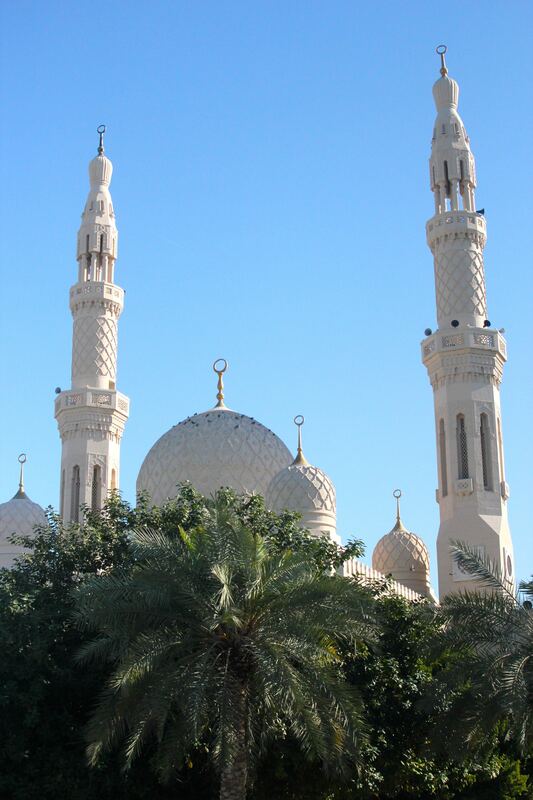 Across the road from the fort the grand mosque stands tall with its minarets and half moons on top of them. This is only one of the hundreds of mosques visible in the Dubai skyline. 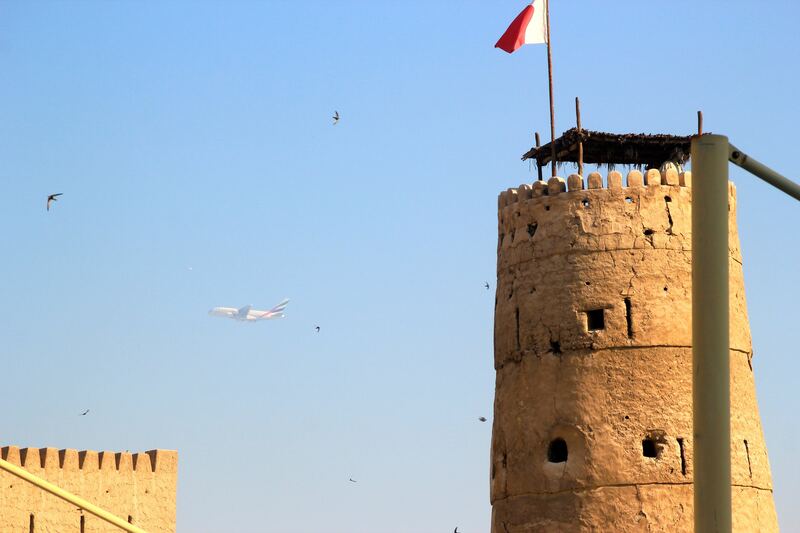 Al Fahidi fort and A380. Dubai Museum with the minaret of the Grand Mosque in the background. Once I had had enough of people trying to sell me stuff I headed down a narrow street next to the mosque. Behind the mosque stands a Hindu temple. I removed my shoes and went inside, welcomed by so many friendly faces. Another lovely break from the craziness of those streets. 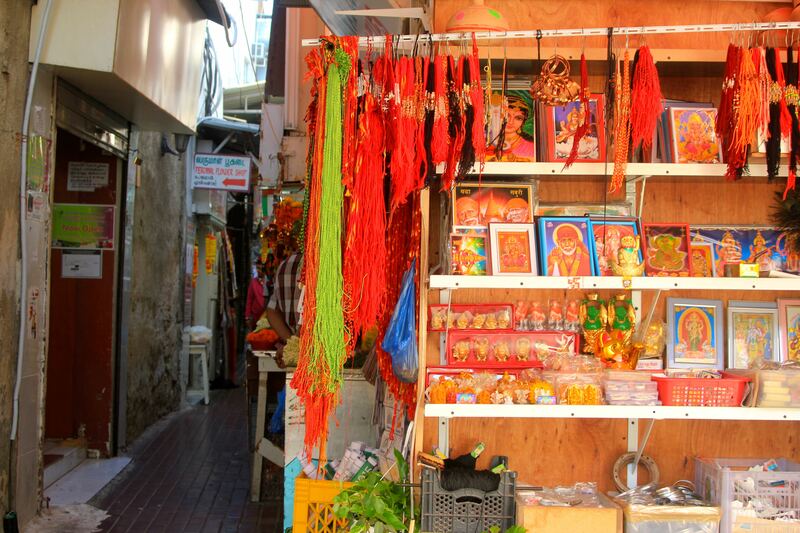 Behind the temple is the Hindu lane, which leads to another temple, but also sells wreaths or jasmine, lotus flowers, prayer beads and lots of fried Indian snacks. I resisted the snacks as I had just had a chicken paratha for breakfast. Again I was welcomed by friendly Indians to buy pashminas and Hindu memorabilia, but these people were a lot less pushy. I kindly refused and made my way to the creek. 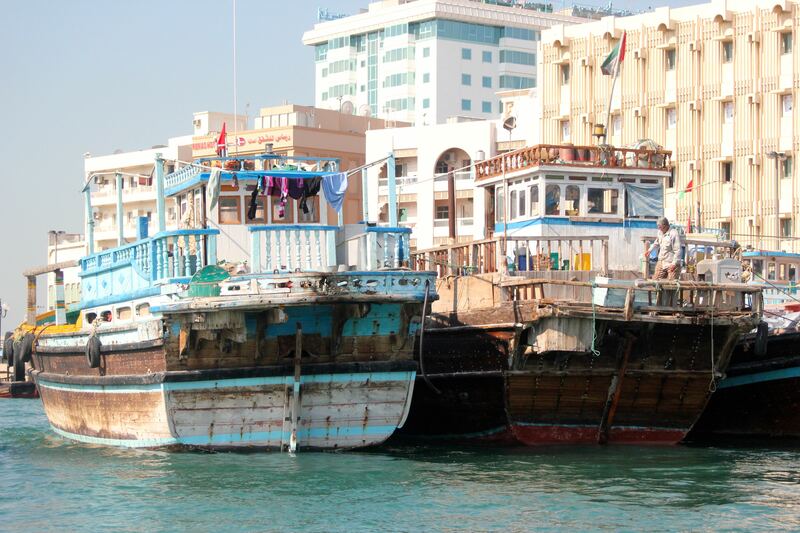 The Bur Dubai creek is home to the abra, which is a wooden boat that transports people across the creek. For one Dirham a go, I could be doing that all day long, but I’ve only managed to cross the creek twice thus far. 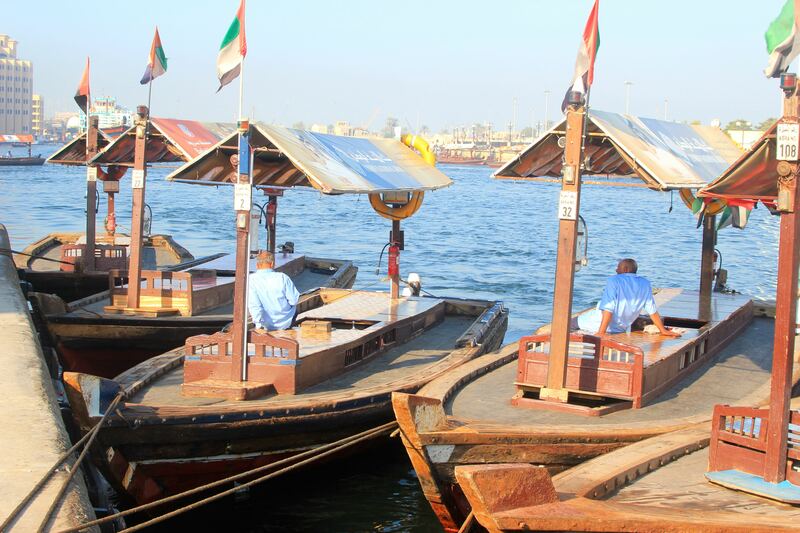 The agra is similar to a dhow. In fact I have no idea what the difference is, but am trying to show that I know different types of exotic boats. 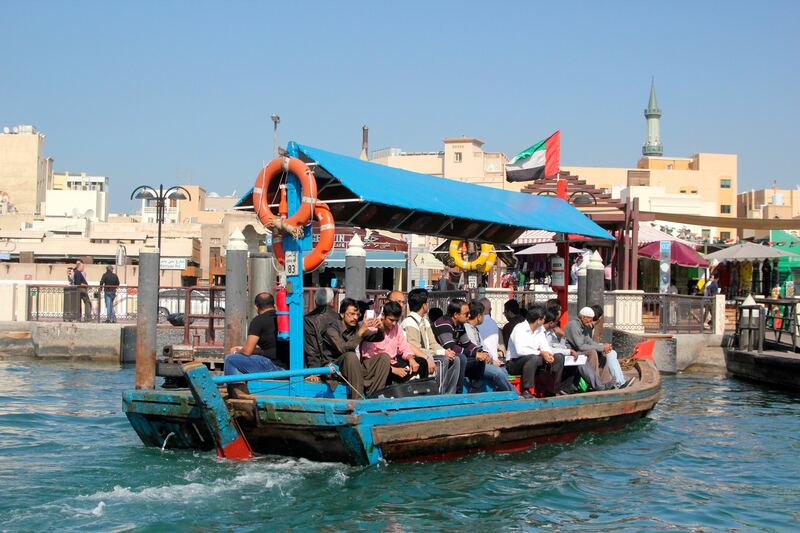 An abra ride to cross the creek takes about 10 minutes and is my favourite activity to do in Dubai so far. The water is a lovely blue, seagulls are flying about and the side of the creek is lined with old wooden boats that bring and take goods to Iran. A lot of life goes on on those boats since the seamen live there full time. You can see flat screen TVs, spices, goats and anything in between being loaded on those ships. The other side of the creek is a part of town called Deira. Also a and old part of Dubai and unlike anything that Dubai is famous for. 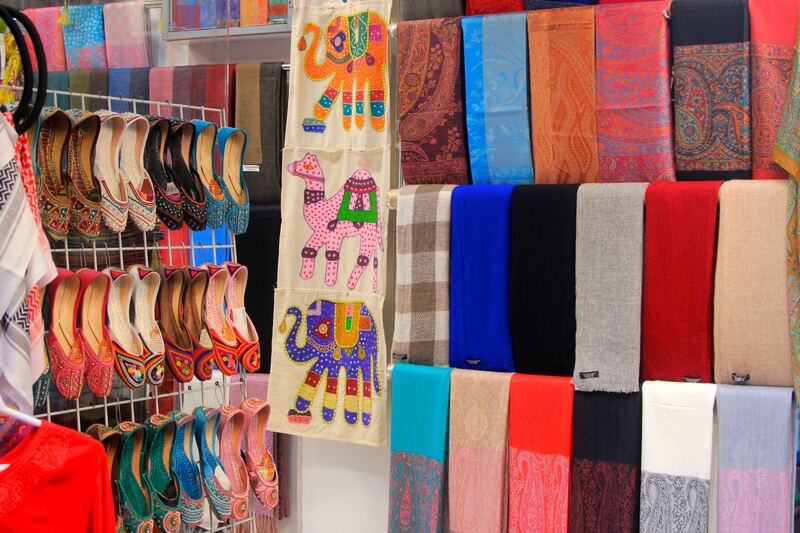 Again plentiful opportunities to indulge in buying a pashmina or a hundred. 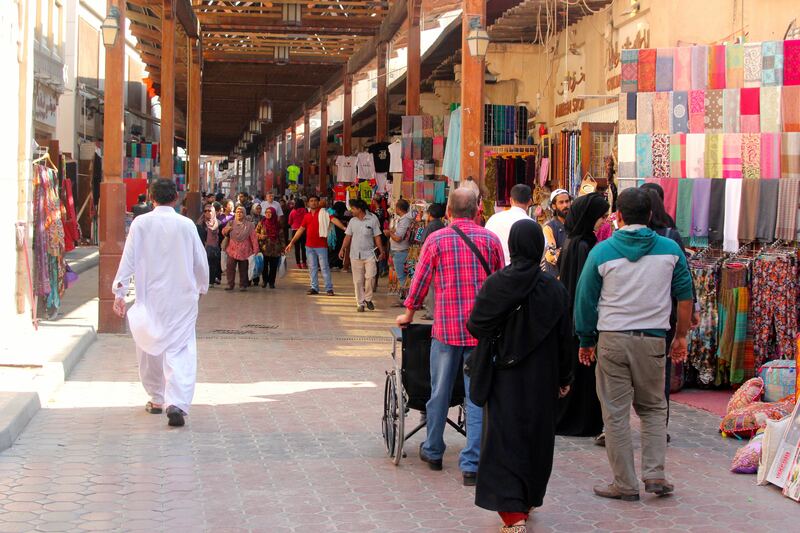 Deira is mostly known for its gold and spice souk. 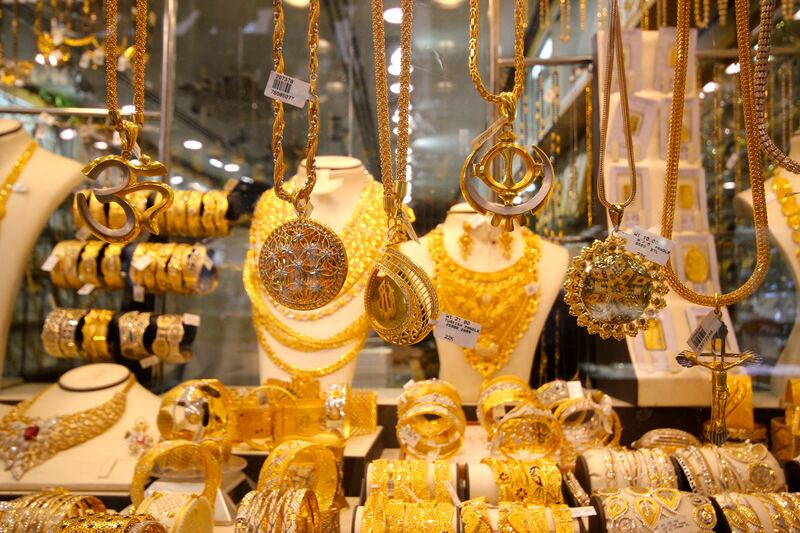 I had great plans of purchasing copious amounts of gold here, but the designs are very Bollywood and not to my liking for everyday wearing. 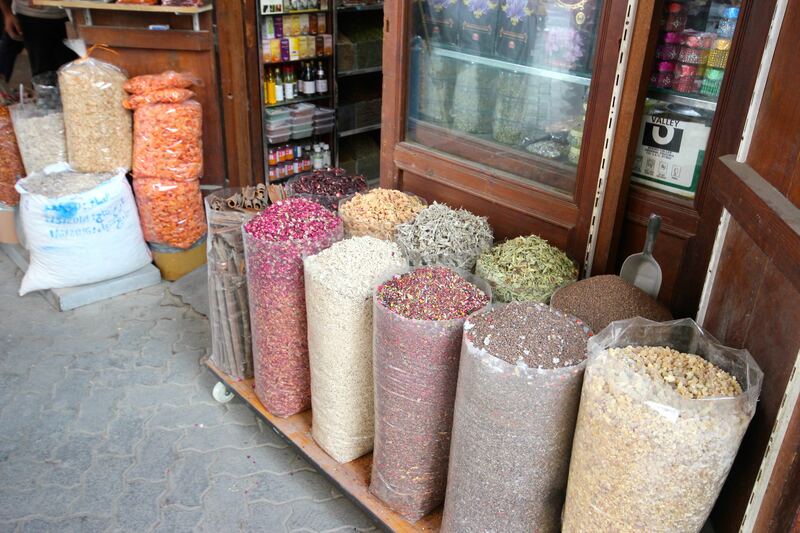 The gold souk leads to the spice souk, where no pashminas are on offer. But there is frankincense from Oman, saffron from Spain and Vanilla from somewhere that is not Madagascar. The gold and spice souks are both extremely touristy and you can just tell that everyone there has at least quadrupled the prices. Still worth a visit, though. There is also a utensils market, which is not mentioned in any tour book, but I loved that place. They sell all sorts of cooking equipment, tea and coffee sets and random brick a brack that everyone should have in their home collecting dust. This is where I met mostly local ladies and this is where I found the best places for sweet milk chai. 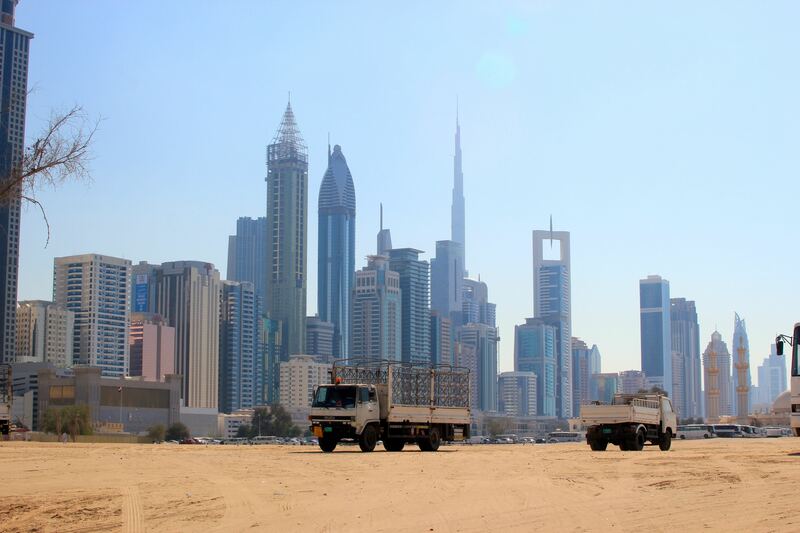 Another area, where the working class of Dubai, i.e. the Filipinos and Pakistanis live, is Al Satwa. It’s quite a large area where the streets are lined with textile shops, tailors, sweet shops and lots of other shops that sell everything. I wish we had more of these sell everything shops in Europe. I got a bit lost in Al Satwa and ended up in some back alley in a residential neighbourhood. The skyscrapers were always in my view, but where I was walking there were scrawny stray cats jumping out of the bins, people defecating in open air, makeshift vehicles driving around and houses in not such great condition. It was really interesting to be looking at the fancy side of Dubai from the side of the people who built it. As Dubai is very unfriendly to pedestrians I ended up walking along a highway for a kilometer or so and got a lot of strange looks. One person even stopped and asked me if I was ok. Pedestrians are not such a usual sight in certain areas around here. Because I am Katrin Winter I have to tell you about food. 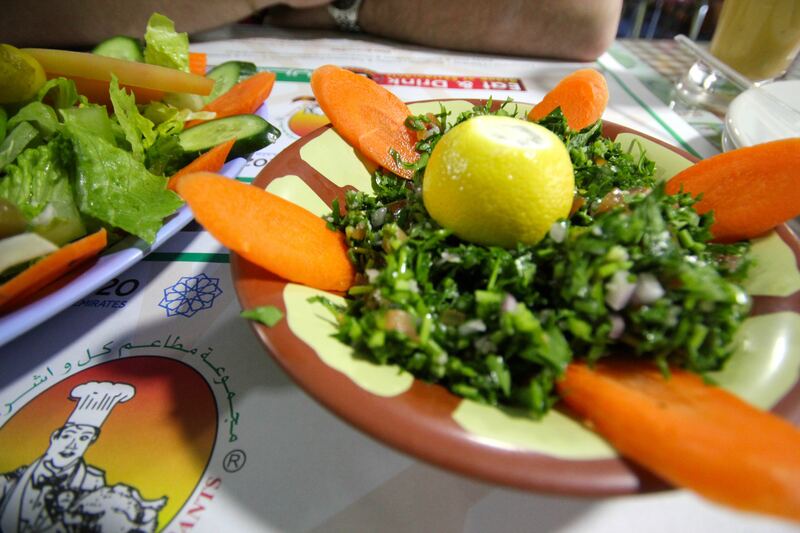 The local Arabic food is unbelievably exquisite. It’s fresh, crunchy, tasty and so suitable for this climate. I’ve mostly been living on taboulleh, which is a salad made of herbs, onion, tomato and a tiny amount of bulgur wheat and moutabbal, which is a dip made of aubergine, tahini and yogurt, similar to houmous minus the chickpeas. This goes perfectly with a bit of flatbread and fresh pineapple juice. Obviously there is the shawarma and falafel, which I have not yet had here as they only start serving them after 5pm. 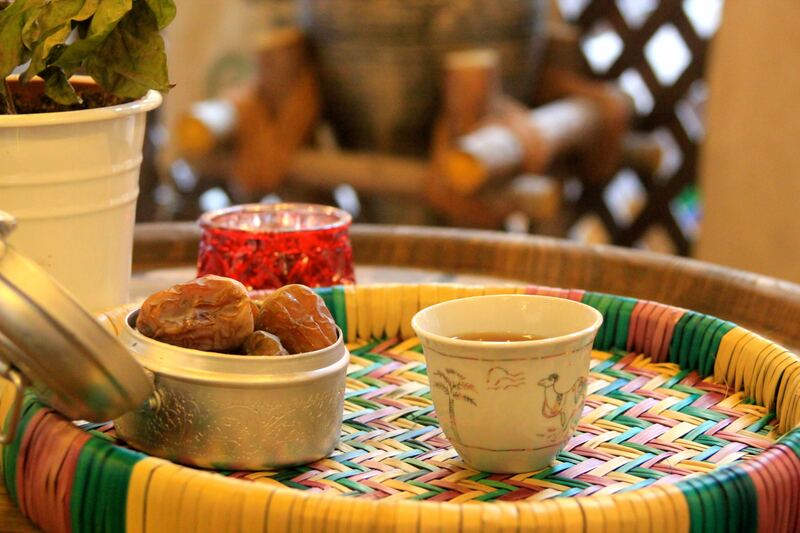 I visited a coffee museum today and had some dates and strong Arabic coffee, as well. And then the queen – baklava. No words can describe how I feel. 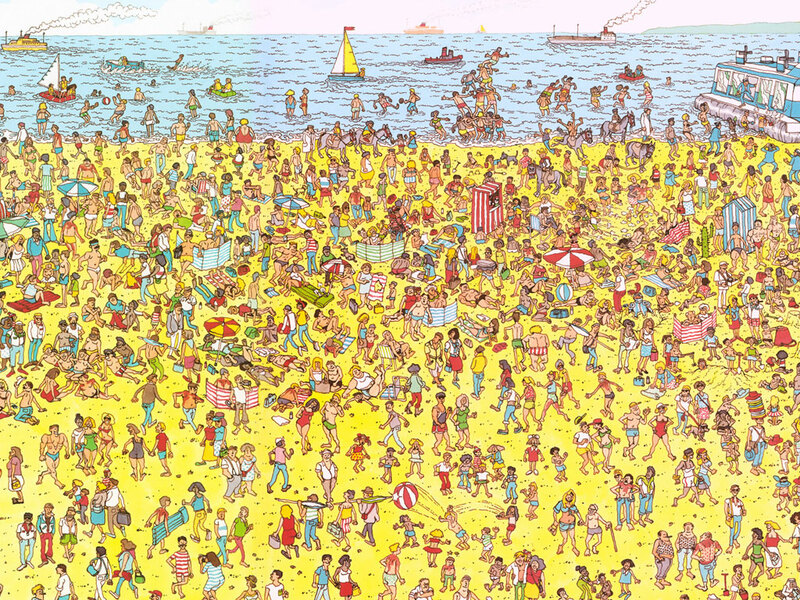 While we are busy finding Waldo, the locals here are locating the Mecca five times a day. 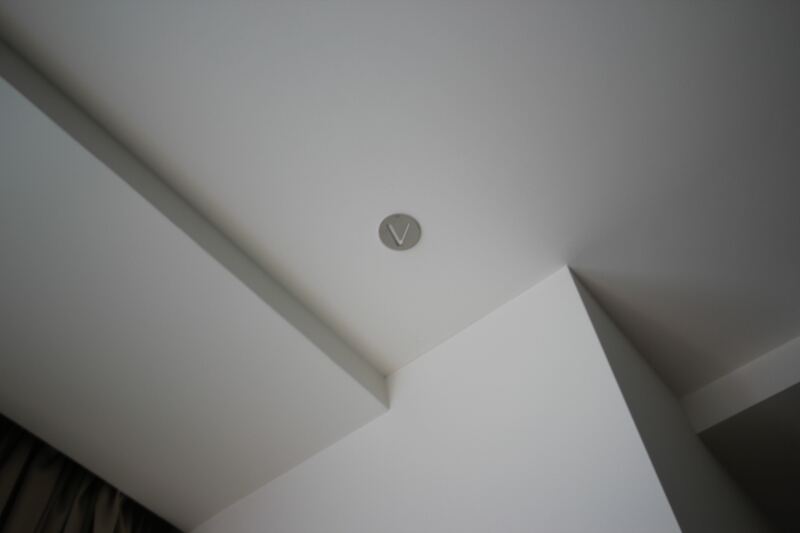 For this purpose, all the hotel rooms have an arrow in the ceiling pointing towards the Mecca. They have to pray five times a day and the first prayer is before sunrise, about 5.30am. 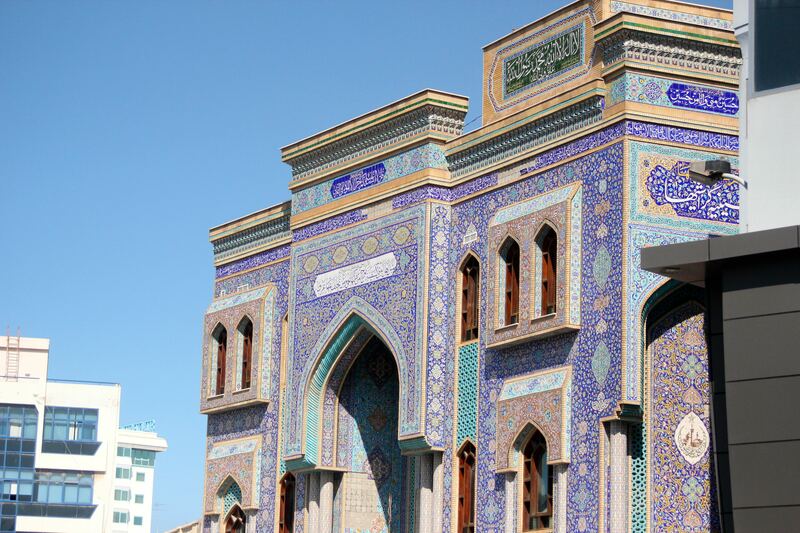 Non-Muslims are not allowed in the Mosques usually, but there is a local organization teaching foreigners about Arab culture and Islam and they have organized access to Jumeirah Mosque. 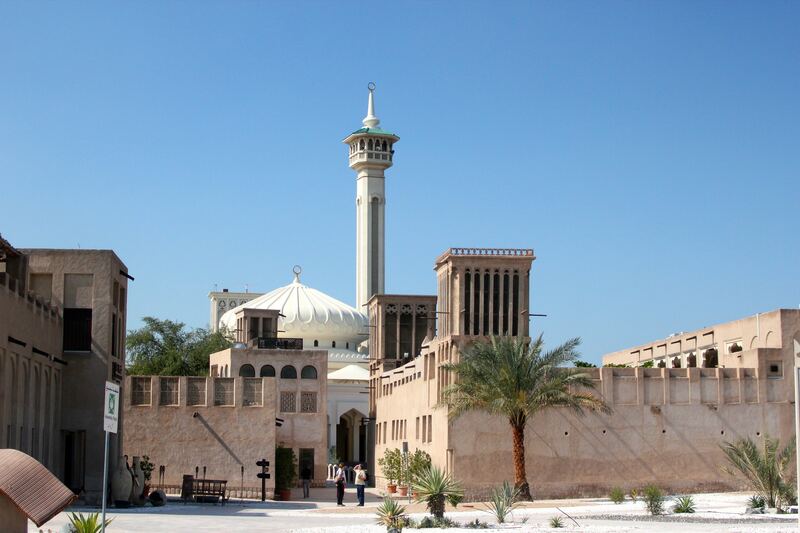 I visited the mosque with a bunch of other foreigners and was given a very insightful talk by an Emirati lady. She answered the questions everyone wants to ask but is too afraid. She explained about the head covers, which most women of the UAE wear. As we all know, she said it is not forced upon them by their fathers or husbands, but it is a decision they are required to take as teenagers. The abaya, which covers the body and the hijab, which covers the head serve several purposes: less distraction while praying, it should make people appreciate the woman for who she is not for her looks and it keeps the heat away. Then there is the burka, which is not the same as worn by Afghani women. The burka here is made of leather and is predominantly worn by older Bedouin ladies. It covers the forehead and the nose. The burka is a very practical thing – it helps keep the sand out of your face and keeps the highest points in the face – the forehead and the nose – from burning in the hot desert sun. The final one if the niqab, which covers the whole face or leaves a slit at the eyes. This seems to hold most religious meaning by covering the woman, who can only be appreciated by her husband and who wants to please Allah by concentrating on Him and not on her looks. The head and body covers in the UAE are black, because they find it an elegant colour and it is part of the local tradition. 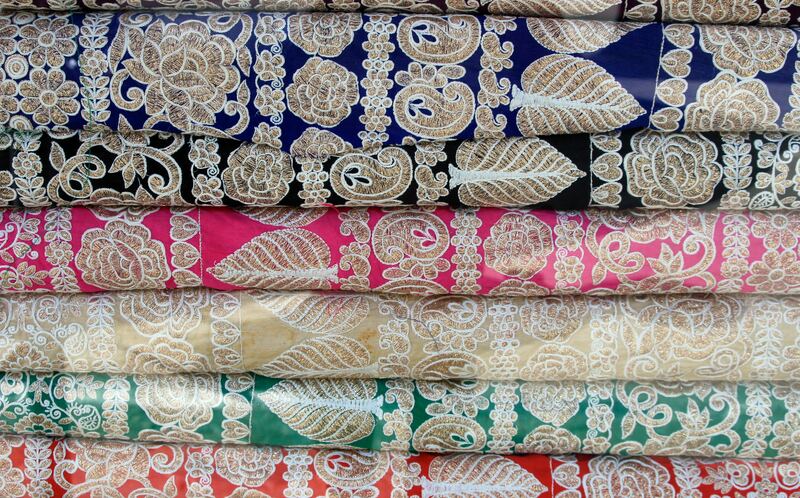 Everyone has personalised their abayas by adding lace, embroidery or a splash of colour, so it really does not feel like those ladies are being oppressed. They drive cars, work and lead pretty normal lives. Unless they’re married to a sheikh. Then they live in a palace and probably have an abaya made of gold thread. Muslims must perform the salah or prayers five times a day. 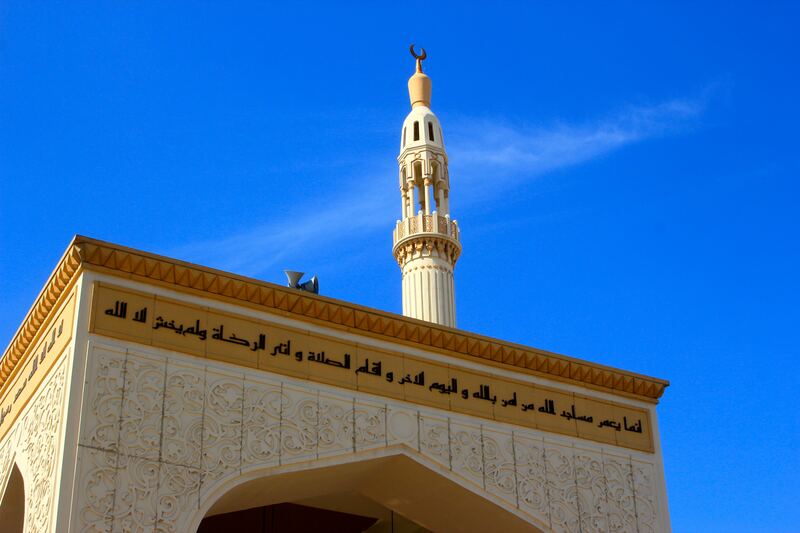 The Imam of each mosque performs the call to prayer, which always starts by the shahada: ‘Allahu akbar (Allah is great) and there is no god but Allah, Muhammad is the messenger of Allah.’ This declaration of faith is the first of the five pillars of Islam and should be performed at the beginning of every prayer. What one chooses to pray after this is up to herself. The other pillars are praying five times a day, giving 2,5% of one’s savings to the poor, fasting during Ramadan and Hajj – the pilgrimage to Mecca. The lady spoke about the many prophets starting with prophet Adam, then Abraham, then Jesus and finally Mohammed and said she thinks Jews, Christians and Muslims are all praying to the same God. If only more people had such a peaceful and normal worldview like her we could avoid a lot of quarrels. The mosque itself was beautiful as always. The intricate details, inscriptions of the Quran and the lamp shades and carpets are really something to admire. The number of mosques being built shows that Islam in the UAE is very important and the amount of people going to mosques shows that religion in this part of the world is far from fading. It is so integrated into daily life and culture that even people who don’t necessarily believe in Allah perform the rituals. But what is amazing in all this in the UAE is that behind a mosque you find a Hindu temple, you see Catholic nuns walking around and Buddhist monks praying in the chaos. There is room for everyone with their culture and customs and that is what makes Dubai a nice place. 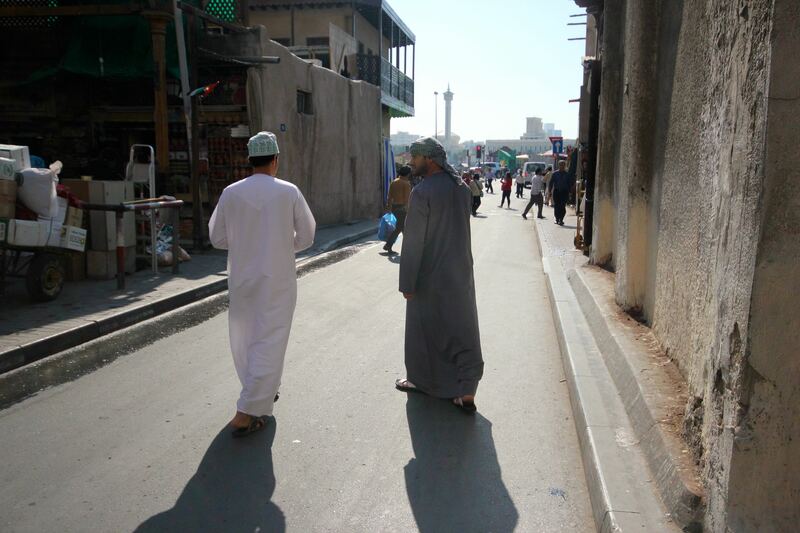 This is especially evident in old Dubai and this is what I love about a place. But for now I am off to the swimming pool to continue my hard life on holiday. I will tell you about some trips out of Dubai the next time. Not to worry, there will be camels. 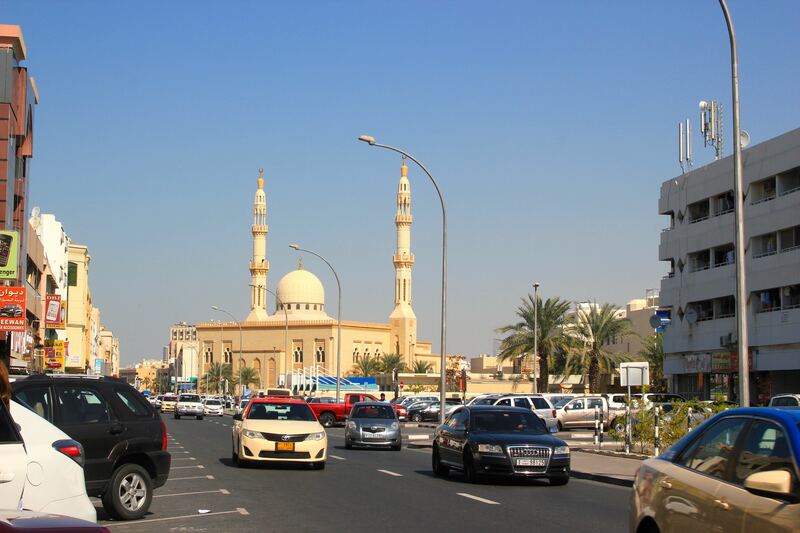 Posted in Places, Uncategorized, United Arab EmiratesTagged Al Bastakiya, Al Satwa, Arabic, Bedouins, Bur Dubai, Deira, Dubai, Dubai abra, Dubai creek, Dubai gold souk, Dubai Museum, Dubai spice souk, Festival City, Islam, Old Dubai, UAEBookmark the permalink. Hi, my name is Teresa. I lived in the Emirates from 1979 and in 1989 moved to Dubai from Abu Dhabi. I worked and resided in Bastakiyah. I love it and miss Dubai a lot. Left for good in 2014 but visit from time to time. Did you visit Mr.Ahmed at Majlis Al Areej in Bastakiyah? Best regards and keep writing about this Great Country!